Most companies design their products based on price. We price our products based on design, function, and durability. Why not build a product that is functional, durable, and reliable first, then apply the price tag. Others force themselves to cut corners in quality to try to meet a price point that creates consumer satisfaction only in the short term. Our philosophy is to create a product that, though higher priced than most, will deliver years of service, and satisfaction for the consumer. Jeff Herold, an avid golfer, surfer, and pilot started the company back in 1990 by designing a golf club head cover out of wetsuit material. The Club Glove name originated from many of his friends describing the head cover designs as “fitting the club like a glove” Jeff, without the luxury of a college education, or any reasonable funding, started the company out of a friend’s garage. After nearly 5 years of bootstrapping, the brand began to get noticed for its quality and customer service in the golf accessory category. 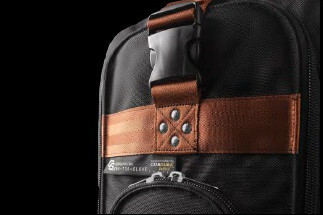 In 1996 the golf travel bag that the company’s namesake is most famous for was designed. Jeff literally drew the idea of Club Glove’s famous “Last Travel Bag” with pencil and paper and then went to work on building his first prototype right here in the United States with American manufacturers. Within months this new piece of travel equipment, designed to make transporting your clubs easier and more reliable, caught fire on the PGA Tour. In 1997 the United States Ryder Cup team was outfitted with Club Glove Last Travel Bags and the rest is history. This iconic piece of travel equipment has now been Number One on the PGA Tour for over 20 years. With the advent of the new TRS Ballistic Luggage Line, Club Glove now dominates the tour in both categories, and has the highest percentage of product usage of any major brand-name in tour history. The Train Reaction System is one of those inventions that makes people wonder why someone had not thought of this before. 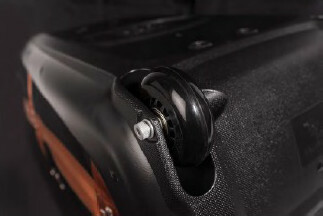 No one in the past had ever thought about putting the smaller wheeled luggage piece ahead of the larger wheeled luggage piece thereby leveraging the two, and creating a perfect center of balance. Amazingly, this allows the user to roll significant amounts of gear and weight with one hand freeing up the other for tasks such as answering a phone call or attending to a child. By connecting multiple wheeled pieces of luggage together, one can also stack other luggage accessories on top, thereby forever eliminating the need for an airport cart. 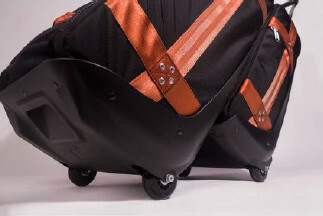 4-Wheel Spinner Luggage? 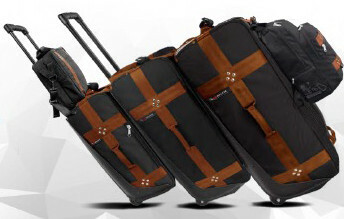 Most people are aware that the hot new thing in luggage these days is the four wheeled “spinner luggage”. Though someone may look quite sophisticated wheeling on the glass smooth floors of the airport concourse, that same person may be seen later, with that very same piece of luggage struggling outside of the terminal. Most people don’t understand that this concept does not work well on driveways, streets, sidewalks, and even carpeting. To legitimize the superiority of two wheeled luggage vs four wheeled luggage, simply take note of the well-traveled flight crew that is flying your aircraft.